Dehydration, stress and reduced physical activity can work against your body’s normal routine of elimination and cause occasional constipation. 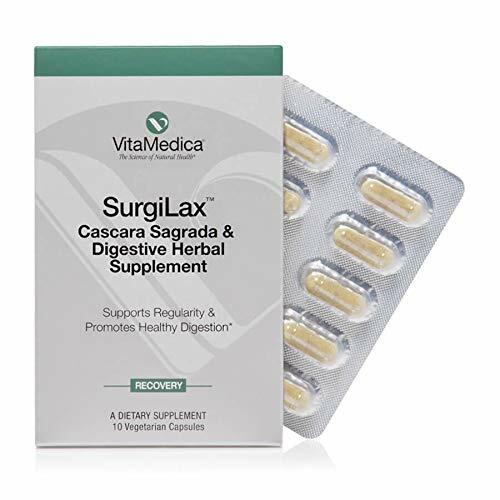 SurgiLax is a two-in-one herbal formula developed by an anesthesiologist for his surgery patients to promote normal, regular and comfortable bowel elimination. Formulated with 250 mg of Cascara sagrada, a botanical traditionally used for its natural herbal laxative effects. Milk thistle helps eliminate toxins and excess waste and also protects and promotes liver health, to assist your body’s natural detoxification process. The herbs yellow dock, licorice root, oregano leaf, and Oregon grape provide balance and cleansing support. 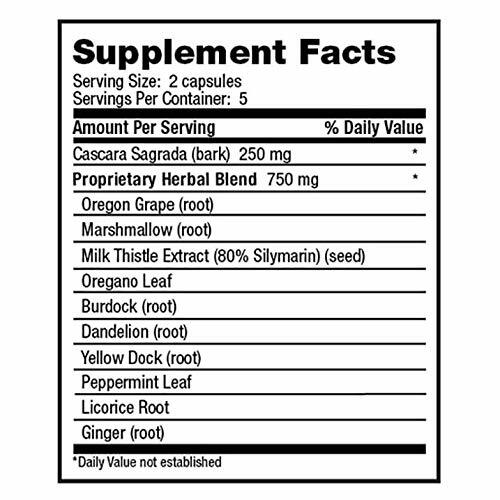 Bitter herbs burdock and dandelion stimulate digestive function, and their high inulin content promotes growth of beneficial bacteria. Ginger and peppermint help soothe and calm your digestive system to minimize discomfort associated with occasional constipation. The high mucilage content of marshmallow coats, lubricates, and soothes your digestive tract. Five-day blister pack with 2 capsules-a-day dosing provides convenience and ease-of-use.